Logitech has announced the launch of new stylish Logitech Wireless Solar Keyboard K750, which the company claims as its first light-powered wireless keyboard, capable of powering itself through sun light and even indoor light thanks to its built-in solar panel, eliminating the need for a power cable and battery hassles. 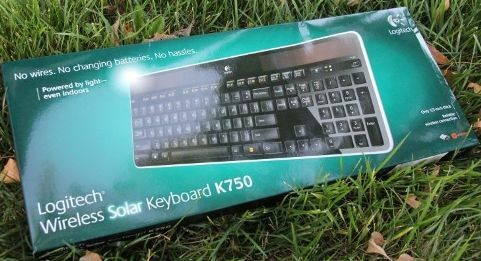 The Logitech K750 solar-powered keyboard combines Logitech Incurve keys, Logitech’s advanced 2.4GHz wireless conncetivity, Logitech Unifying technology and 128-bit AES encryption into a single peripheral, coming with a solar power app (logitech.com/k750/solarapp) that offers a lux meter for showing details of light and battery level. Logitech Wireless Solar Keyboard K750 which measures just 1/3-inch thick is slated to be available this month for around $80.